We’re just a month out from Edgar Wright’s latest film, Baby Driver, a movie that takes its title from a song off Simon And Garfunkel’s final album together, Bridge Over Troubled Water. Earlier this week, Wright noted on Twitter that there’s another S&G-inspired film currently in the works—Marc Webb’s The Only Living Boy In New York—and things sort of snowballed from there. 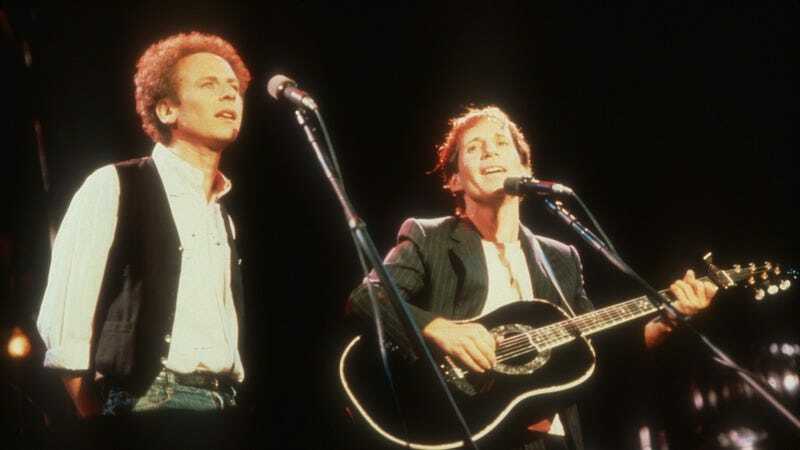 Soon, Wright and Webb were luring some of the biggest names on Twitter—including The Last Jedi director Rian Johnson, Lin-Manuel Miranda, and The Rock—to fill out the ranks of The Simon And Garfunkel Song Title Cinematic Universe. Wright is clearly having a lot of fun with this idea, pitching plots and even cajoling Variety into covering the “project.” We can’t blame them for giving into his request, though; after all, you’ve got to keep the customer satisfied.